Why We Cry. . . 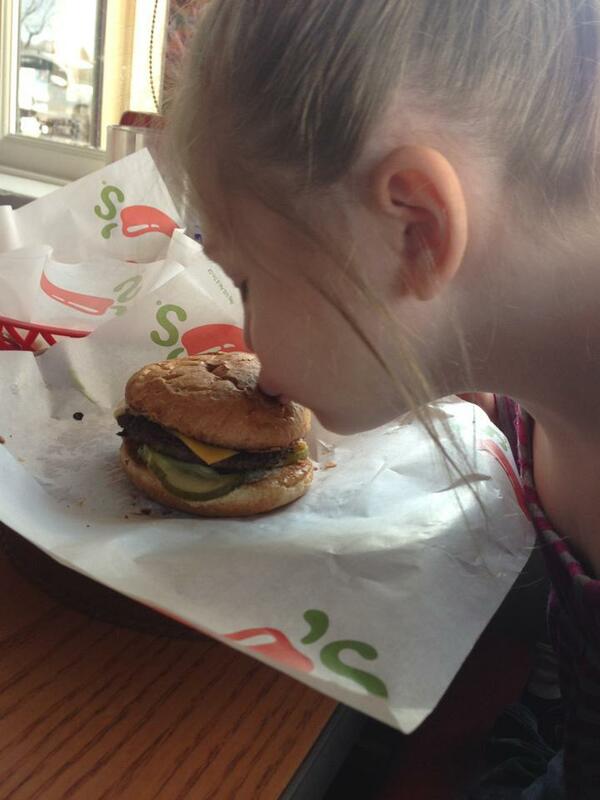 Recently, a friend at work sent me this story about a girl with autism who was treated very well by the staff of a Chili’s restaurant in Midvale, Utah. Apparently, the Facebook post that this story was based on has gone viral, with nearly 50,000 comments. And I can see why. If you have one or more kids on the autism spectrum, you don’t expect people to go out of their way to help you or your kid. Instead, you get used to the baffled stares, the cluck-clucking, and the occasionally mean comments about your children and your parenting skills—or lack thereof. For Katie and myself, whenever we contemplate going out to dinner, we have to include a few questions that most families wouldn’t bother to ask. Questions like: “Is the place too dark? Too bright? Is it noisy or quiet? Is there plenty of space between the tables? Do we know if the staff is flexible? Is there more than one way out in case of a melt down or in case one or more of the kids needs to take a break and get some fresh air?” So as you can imagine, we don’t go out that much, and when we do, it’s usually to our local McDonald’s, where many of the people already know us. Anyway, as I said, I read this piece about a week ago, and it kept popping up on my Facebook account. Friends messaged me about it, or posted it to my wall, or shared it on their own walls. Clearly, it moved a lot of people. And one of the best reactions to this story I have read comes from a man in Canada who has a son with autism. 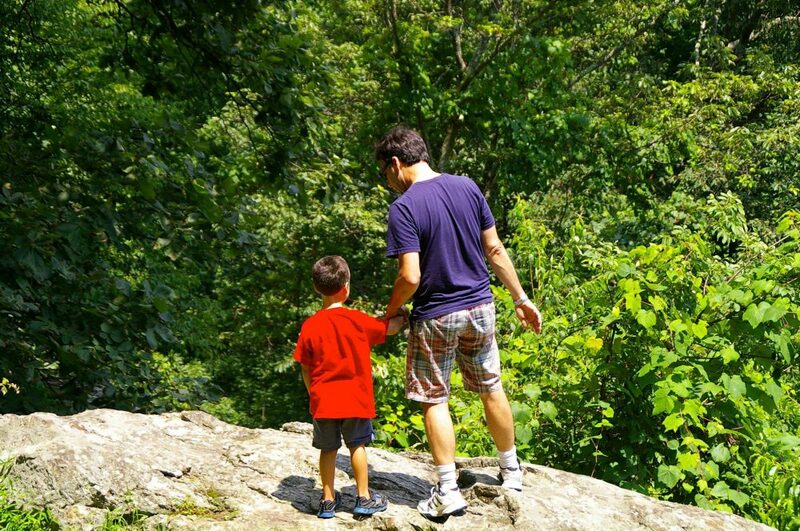 His name is Stuart Duncan, and he writes a blog called “Autism from a Father’s Point of View.” Check it out, and see what you think. So the past couple of weeks have been pretty rough. By my count, I spent six hours in IEP-related meetings at two of the kids’ schools. And two of those meetings were both tense and emotionally draining. Not to mention, those six hours required at least twelve hours of preparatory meetings with psychologists and IEP coaches. And part of those twelve hours consisted of conflicting, or at least confusing, input from the various parties. Oh, and those preparatory meetings either required or resulted in about another twelve hours of preparation and homework so that we could get our information and our strategies straight. That makes thirty hours right there. Then there was my nightly routine of going over my two oldest kids’ school binders and homework assignments and making sure they did the work they had forgotten to do—a routine that is not without its conflicts and occasional melt downs. Then there were the increasingly dramatic tantrums that our seven-year-old began having right around the dinner hour—often starting a domino effect with a few of the other kids. Then our four-year-old’s ADHD, perseveration, and stimming suddenly began shooting up like a Roman candle. And finally, there was the fall-out of all of this in my job. Lots of time off for meetings, melt down management, and homework duty translated to a string of late nights just so I could keep up with the deadlines. All these factors combined to produce a pretty dark cloud over my head. Everything seemed bleak. There seemed to be no end to the challenges. And I couldn’t see any sign of progress. All I could see was a long, difficult road ahead, and I was getting tired of trudging down it. So I was pretty demoralized by the time last Tuesday rolled around and I remembered an engagement I had the next day. It was an autism symposium at the University of North Florida. I had been to previous meetings like this and found them very helpful, and this year seemed really promising. The topic was genetics—something that I have a vested interest in! So what did I do? I got up Wednesday morning, helped Katie get the kids going, and drove my two oldest to school—the regular routine. Only instead of heading for the symposium or going into the office, I got onto I-95 South and headed for Orlando. I escaped for the day to Disney World. Actually, this has become a regular habit of mine. As a Florida resident, I am able to take advantage of discounted park tickets, so it turns out not to be too extravagant an expense. But what do I do? I pray. I think. I unwind. Disney is very good at creating immersive environments, so it’s easy to lose yourself and enjoy the scenery. And that experience of being somewhere else, even if it is mostly make-believe, helps me reset my brain. I did a bit of everything that day. I walked around a couple of resorts and ended up in Epcot, where I strolled around the World Showcase. As the day progressed, I noticed a few things. First, my pace grew more relaxed and my breathing became deeper and more even. Even my face felt more relaxed, and it became easier to smile. My shoulders lost their hunch, and my often fisted hands opened up. I hadn’t realized how tense I had become, and how I had been holding that tension in my body so much. Then, I noticed that my thoughts were slowing down. 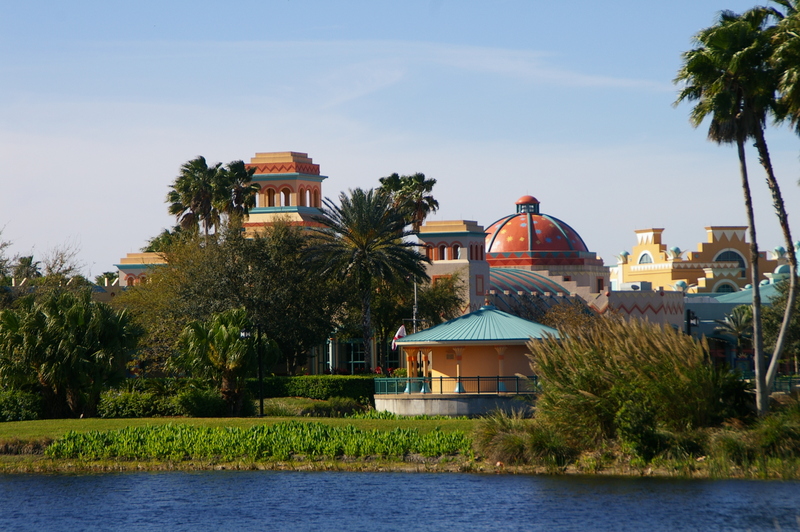 With broad vistas stretching out in front of me as I walked around the lake in the Coronado Springs resort, I began to let go of the confining, cramping concerns that had been overshadowing my mind. The tyranny of the urgent receded, and I found myself taking a longer, more hopeful perspective. All the things that had to get done, all the issues that remained unresolved, all the glitches that my children need to work through—they were all brought down a peg or two. The kids came into sharper focus, with all their fun quirkiness and golden hearts, and the autism receded. It was still there, mind you. (It never leaves.) But it was dethroned. The other thing that receded was fear. I didn’t even known I had been under its shadow, but I had. Actually, it was more like a low-level panic over all the what-ifs for the kids’ futures. So many things could go wrong. So many forces could overtake our family and make our life together a ton worse. All these ominous possibilities were making me feel claustrophobic, helpless, trapped. But getting away for a day of relaxation and prayer raised me above the fear. Being in a place that was built on dreams helped me remember my own dreams for my family and for each of my kids. I knew that some of them might not come to pass. But by letting fear entrap me in some kind of tunnel vision, I began to believe that none of them would ever come true. I forgot that all the work we are doing with our kids is geared toward the goal of giving these dreams a chance. I forgot about all the progress that we’ve made the past few years—progress that will build a better foundation for these dreams. And worst of all, I forgot that my kids have their own dreams. I had become so focused on addressing their challenges that I forgot about their gifts—the gifts God had given them, the gifts that they are to our family, and the gifts that they will be to the world as they grow and develop and find their footing. When I came home that night, not much had changed. Our seven-year-old hadn’t miraculously overcome his melt downs. Our twelve-year-old hadn’t stopped fixating on the new toy she wanted. Our four-year-old was still so hyper that he couldn’t stay in his bed . . . even though it was past 9:00 at night and he had woken up at 5:00 that morning. And so on and so on. No, not much had changed at all. But I had changed. And that was all that needed to happen.